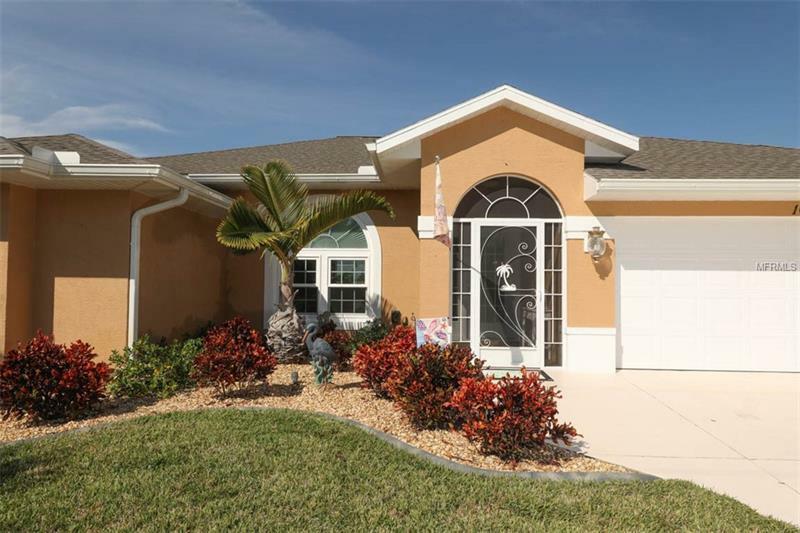 This beautiful waterfront home in Rotonda West will fill your every need and so much more! A lovely screened entry porch welcomes you, and you will immediately notice the homeowners taste and attention to detail. A large and bright great room offers you plenty of room for relaxing or entertaining. The fully equipped stainless kitchen has a 9â breakfast bar, quartz countertops installed 2016 and adjoining dining area. All of this opens to the most magnificent lanai and pool area you will ever see! From the dancing water in the heated saltwater pool to a bonus 24x22 astroturf area there is ample space for covered dining, sunning and recreating. There is even a remote to control the pool features including the heater. This is awesome outdoor living at its finest, all located on a peaceful waterway! A very spacious master bedroom also opens to the pool area, and the master bath is an oasis with garden tub, new showerheads and tile in the master shower. Guest bedrooms are of course generously sized. All sliders have stainless wheels for ease of operating. The interior of the home has been repainted, and the exterior was repainted in 2018. New impact glass in 2018, additional canvas storm protection, new curbing and gutters are among the features to be mentioned. There was a new sewer connection in 2016 with PVC pipes. A/C replaced 2016. We have attached a comprehensive list as there is much more to mention. To fully appreciate this property we invite you to view the attached videos and photos.